Standard - £24.99 Only 8 left! Some might say that Orange is the New Black. But let us just tell you what, it is not. Black will always be the new black. And we know that you know that too. That isn’t to say your flowy yellow dress doesn’t have its place, but it does not belong at Breakfast at Tiffany’s. All those cute little blue boxes. No, the only color for that occasion is black. Specifically, this black High Society Dress. 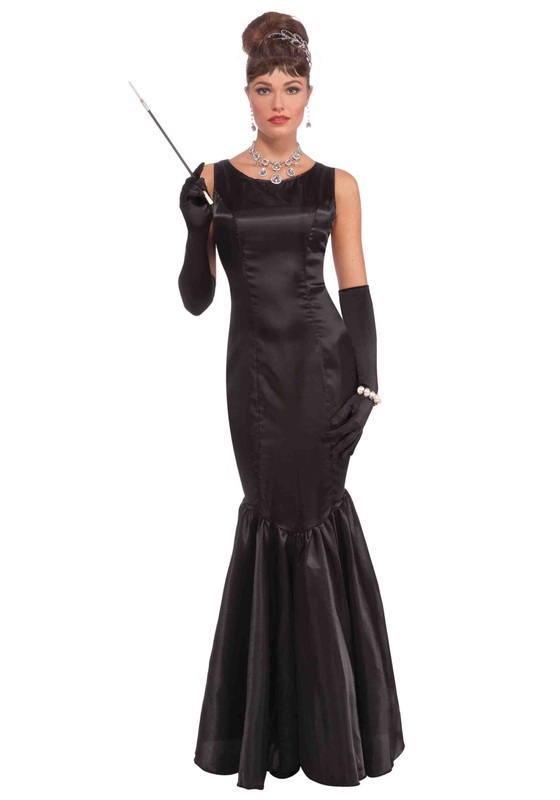 Holly Golightly will be eating her heart out when she sees you walking down Fifth Avenue wearing this slinky black dress, sipping on a mimosa D’Atsi. Just don’t forget to pick yourself up a little something in a light blue box as you pass by Tiffany & Co. A jeweled hair coif if you will, or perhaps that diamond tennis bracelet you’ve had your eyes on. Both would look fantastic with this classic black dress.